Contact us today for a demonstration and estimate. Tile can lose its adherence due to various reasons such as drastic temperature fluctuations, settling of your home, or the application of high pressure heat (typically seen in the use of steam cleaning machines). This loss of adherence can be either seen or heard. 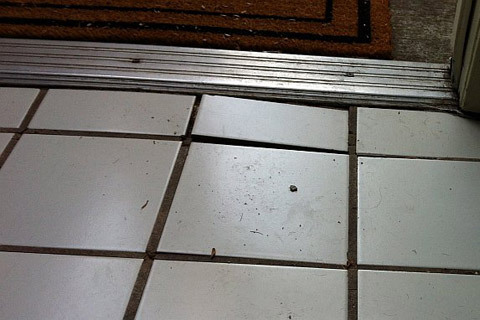 Hollow tiles indicate a loss of adherence, as does the lifting of your tile in the form of a tent. The solution is re-bonding. 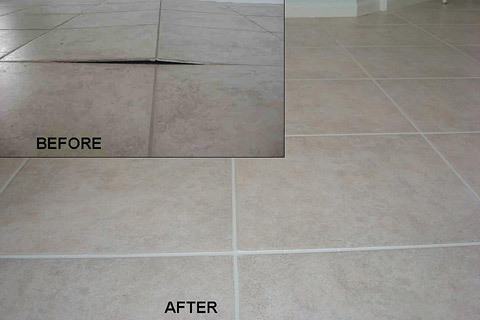 Re-bonding is a minimally-invasive Groutsmith specialty in which tiles can be reattached without the complete removal and replacement of said tile.